Steve foster began his helicopter flying quest by purchasing a used helicopter with impeccable log books showing all maintenance had been accomplished by the previous owner. He hired a flight instructor who had told him that he was experienced in Rotorway helicopters and arranged for this gentleman to travel to Steve's location and provide him with his flight instruction in his own Rotorway Exec 90. After the flight instructor had been at Steve's for 5 days, Steve had still not received any flight training. This instructor told Steve that he could go ahead and go to work at his place of business while the instructor worked on the helicopter. After 5 days of this and seeing no end in site, Steve paid the flight instructor off and sent him on his way. He returned to his office and was considering how to sell his Rotorway and was ready to give up his dream of becoming a helicopter pilot. As he sat at his desk he picked up the latest copy of an experimental aircraft publication and thumbed through it. 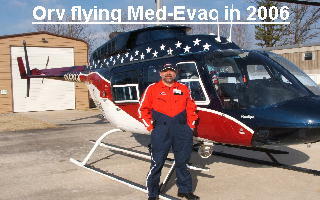 He noticed a story about flight training in one's own Rotorway helicopter by Orv Neisingh of Sho-Me Helicopters, LLC. Right then and there he called Orv and asked if he could travel to Steve's hangar in Searcy, AR to get his flight training. Orv was home and Searcy was just a short drive away so Orv agreed to drive to Steve's location and begin his flight training. Steve went on to get his private, commercial, and instrument ratings in helicopters. He started his own business called Bull Dog Aviation in Searcy, AR where he has both a fixed wing and helicopter flight training center. Steve is also now an FAA Designated Pilot Examiner with a very good understanding of the Rotorway helicopters. Steve provides private and commercial helicopter practical tests now for Orv Neisingh's students who wish to use him as their examiner. He is a great guy and we at Sho-Me Helicopters have never heard a negative comment from any of our students who have taken their check rides with him. We will not send you to Steve until you are ready. 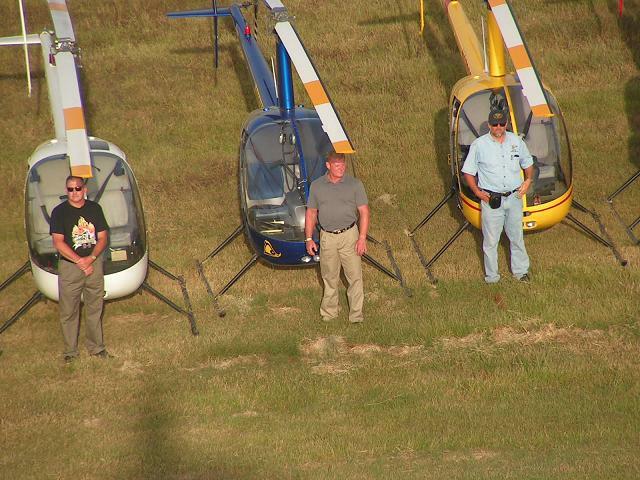 Photo above, Orv standing in front of his yellow R22 and Steve Foster standing in front of his Blue R22 and pilot Roger to Steve's left. This photo was taken while we were pollinating rice in Arkansas together. Below Steve takes off as Orv gets ready to lift. 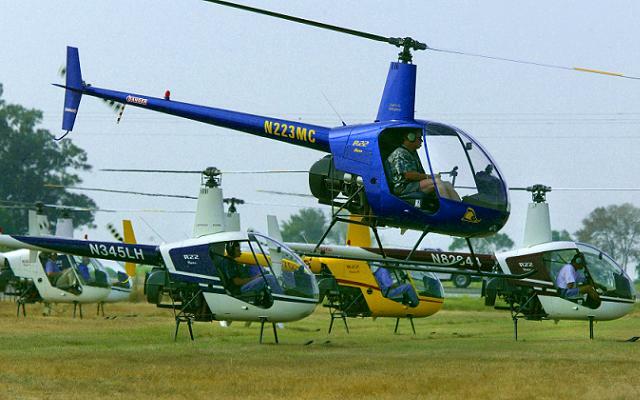 That year we had around 21 R22's, 2 Schweizer 300's, and a Bell 47. The following year Steve was back in his beautiful Bell 47 in which he administers the Practical and Commercial check rides for his Rotorway Pilots. Steve also offers flight training in his R44. The photos below show Steve's R44 and Bell 47. My students now have the option of taking their helicopter check rides with Steve in the Bell 47 after I prep them in his beautiful machine. It is easier to fly than the Rotorway and is an easy transition.